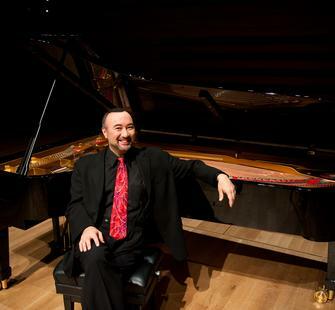 Sunday, October 28, 2012, 7:30 p.m.
One of today's most sought-after pianists, Jon Kimura Parker performed an unprecedented array of piano recitals in the 2010-2011 season. A true Canadian ambassador of music, he has given command performances for Queen Elizabeth II, the United States Supreme Court, and the Prime Ministers of Canada and Japan. An active media personality, Parker has hosted the television series Whole Notes on Bravo! Canada, and CBC Radio 2's Up and Coming. Parker will be performing his own arrangement of Igor Stravinsky's Rite of Spring and Pictures at an Exhibition, by Modest Mussorgsky.